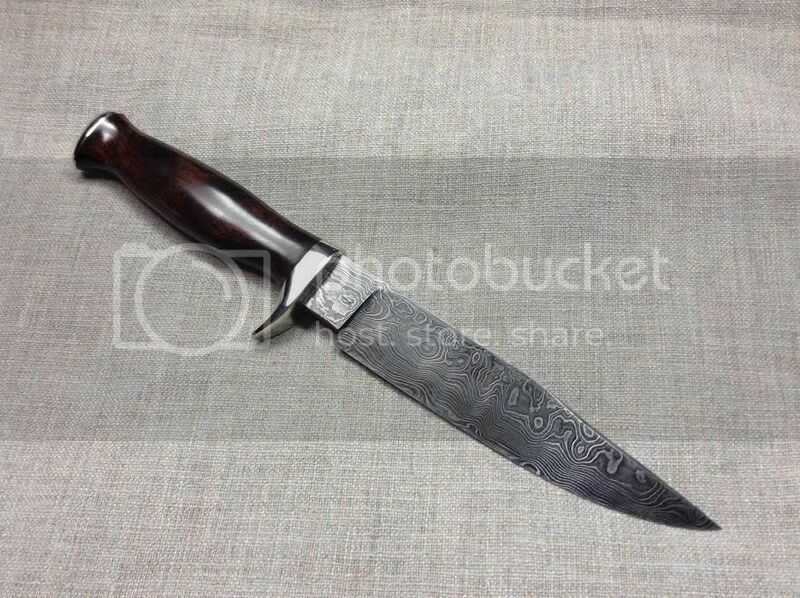 Demonstrate Blacksmithing and Win This Knife! Discussion in '2015 Feature - Blacksmithing' started by Keith Johnson, Aug 11, 2015. 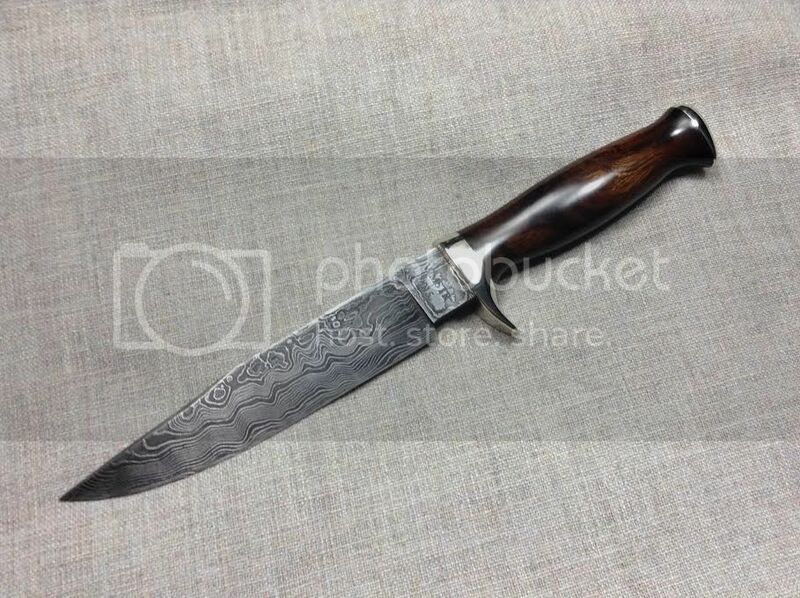 This year for the featured event, for every four hours a guest blacksmith demonstrates, he/she gets to drop their name in a hat for a drawing to win this knife and sheath. 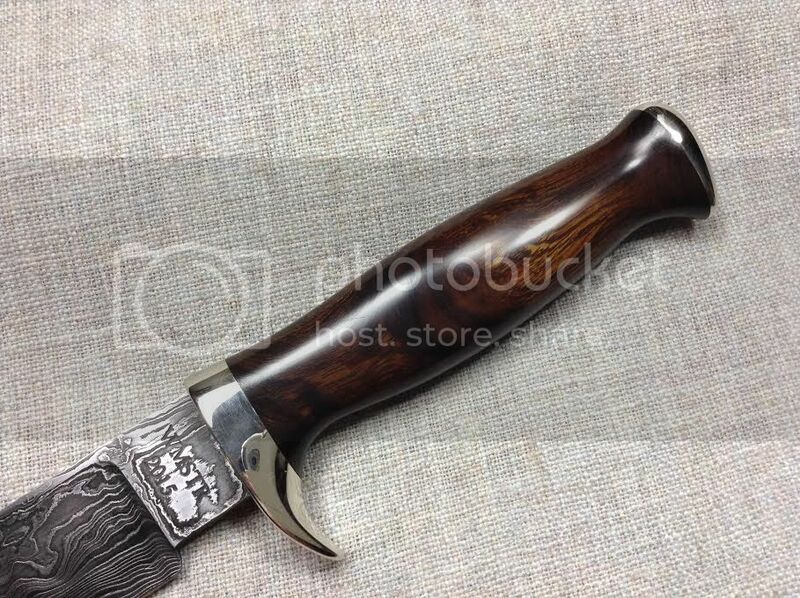 I donated the pattern welded steel blank, Jim Poling forged and finished the blade, Phil Ylitalo installed the ironwood handle, Roger Cook will be making a sheath for it. I'll post more photos when I have the sheath. Those of us who man the shops every year will be excluded from the drawing. crystalaakre and JLWithers like this. Very impressive and a very nice donation(s) all the way around! Greg Thesing and Lee like this. That is a GREAT looking knife and sheath! You folks came up with a good way of allowing people to get in the drawing. Can I get an "honorary blacksmith" title and sign up even if I don't work in a blacksmith shop? Can you be bribed? How many chocolate chip cookies would count as 4 hours of work? I can cut some lumber any size you would like so I could be included also. Now, really one end thick and one end thin---it all averages out--just turn every other board end for end. Ya know we really need to give this poor guy a break here. Thanks for sticking up for me Greg, we will saw lumber for you any day. Who won the knife Keith?